We’re excited to announce our annual Fall Invitational art show. 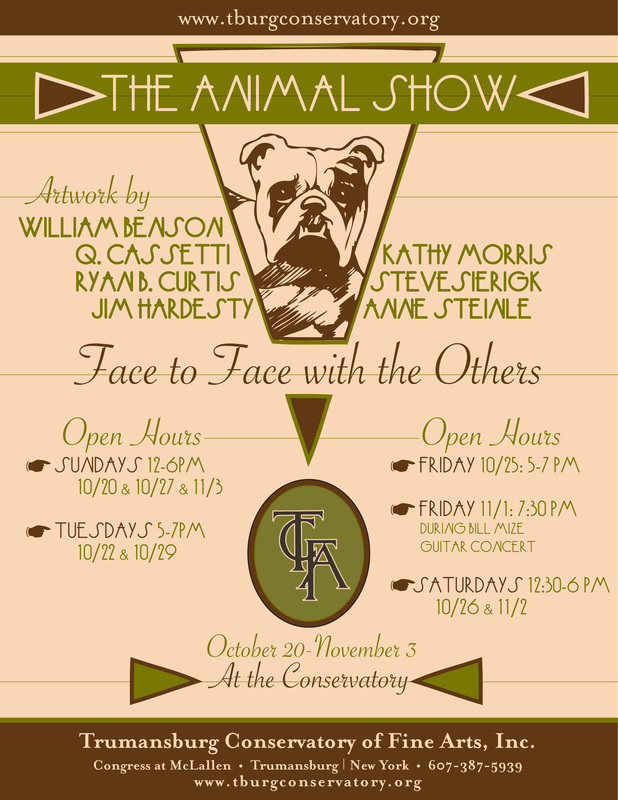 This year’s theme is “The Animal Show: Face to face with the others,” and it will feature the outstanding artwork of William Benson, painter; Q. Cassetti, illustrator, graphic designer; Ryan B. Curtis, mixed media & digital collage artist; Jim Hardesty, Chinese brush painter; Kathy Morris, photographer; Steve Sierigk, painter/designer; and Anne Steinle/Littlestone Upholstery, artistic upholstery. Animals help us understand what it is to be in the world, and our own part in it. Seeing art inspired by them promises to be very exciting. The show is free and open to the public. Specific open hours are listed on our calendar.